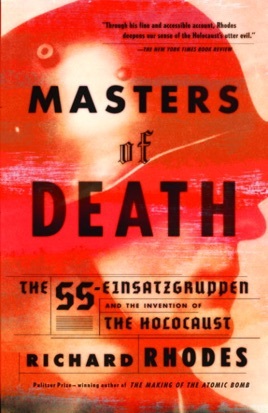 In Masters of Death, Pulitzer Prize-winning author Rhodes gives full weight, for the first time, to the Einsatzgruppen’s role in the Holocaust. These “special task forces,” organized by Heinrich Himmler to follow the German army as it advanced into eastern Poland and Russia, were the agents of the first phase of the Final Solution. They murdered more than 1.5 million men, women, and children between 1941 and 1943, often by shooting them into killing pits, as at Babi Yar. These massive crimes have been generally overlooked or underestimated by Holocaust historians, who have focused on the gas chambers. In this painstaking account, Pulitzer Prize-winning author Richard Rhodes profiles the eastern campaign’s architects as well as its “ordinary” soldiers and policemen, and helps us understand how such men were conditioned to carry out mass murder. Marshaling a vast array of documents and the testimony of perpetrators and survivors, this book is an essential contribution to our understanding of the Holocaust and World War II. This is not for the squeamish. 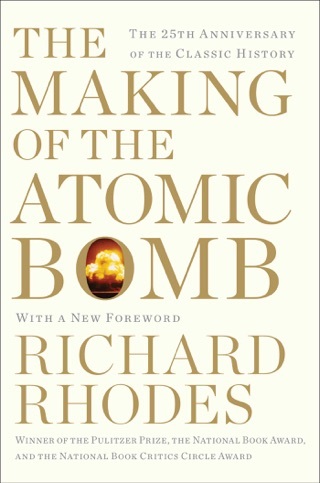 Rhodes, a Pulitzer winner for The Making of the Atomic Bomb, has pulled together a mountain of research on the mass murders of Jews perpetrated by the Einsatzgruppen special task forces organized by the SS commanders Himmler and Heydrich before the gruesome death camps industrialized the Final Solution. 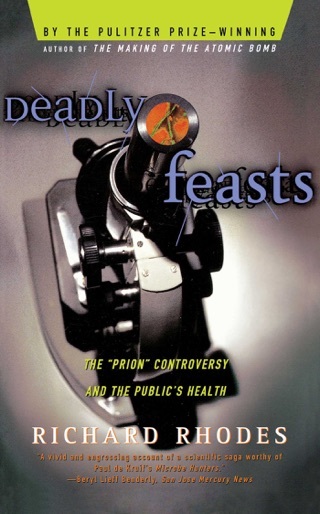 The catalogue of horrors, drawn not only from postwar memoirs and interrogations but also from the Nazi fanaticism for statistical detail, is profoundly appalling, even revolting: some of the malefic perpetrators were so sickened by the slaughter that Himmler set up mental hospitals and rest camps for the insufficiently sadistic. By January 1942, when the Wannsee Conference implicitly authorized the death camps, more than a million Jews crowded the killing pits, some of them later torched to conceal the massacres. Relatively few in the Nazi command structure would pay for their crimes. John J. McCloy, U.S. High Commissioner for Germany, Rhodes reminds us, reduced 10 of 14 death sentences in U.S. war-crimes trials, and by 1958 all surviving Einsatzgruppendefendants had been freed. German courts were also lenient. But he also suggests that genocide is new only as a word in the dictionary: "The Final Solution...was intended to be only the first phase of a vast, megalomaniacal project of privation, enslavement, mass murder and colonization modeled on the historic colonization of North and South America and on nineteenth-century imperialism but modernized with pseudoscientific theories of eugenic restoration." Thus Rhodes holds the mirror up. 16 pages of photos and six maps not seen by PW. 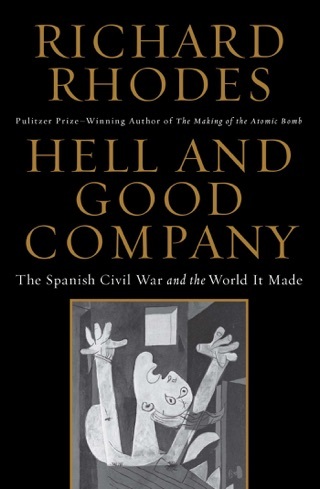 Rhodes' provides details into genesis of World War II holocaust and some of the darkest hours of human history. 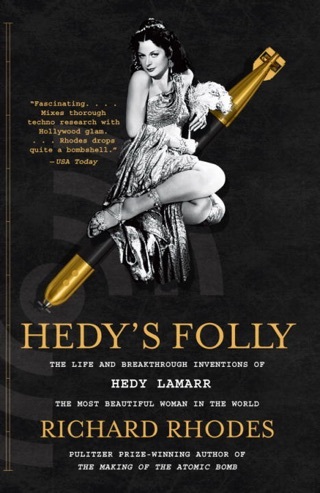 A number of events described in the book are difficult to believe, but well researched. We must ask (but not forget) how could men be so utterly cruel to fellow human beings? 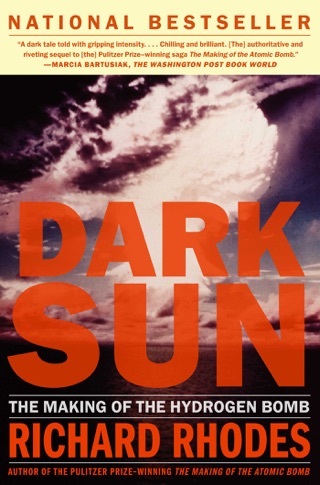 If you are interested in World War II history, Holocaust, Nazis or the SS, then this is a must read book. 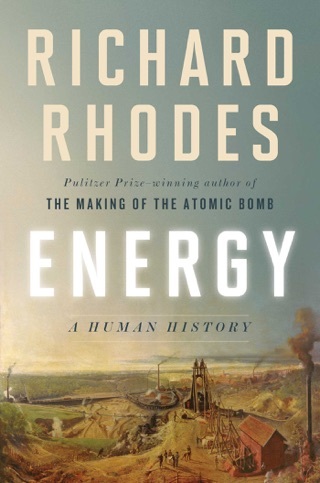 As with his other Pulitzer Prize winning works, this book by Richard Rhodes is highly recommended!